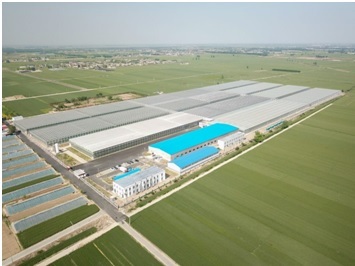 On Tuesday May 15, 2018, South Holland province and Hebei province officials visited the vegetable greenhouse complex CAU Futong Nanhe Industrial Cluster. The greenhouse complex is located in Xingtai city, in the northern China Hebei province. A Memorandum of Understanding (MoU) for future close collaboration was signed during a ceremony by Commercial Director Mr. Gideon de Jager of CODEMA, and Managing Director of CAU Futong Prof. Tianzhu Zhang in presence of South Holland province officials and Hebei province officials. During this official event, Codema was one of the keynote speakers. Gideon de Jager emphasized in his presentation that the CAU Futong project is a great example for China in terms of safe food, sustainable production and Returns on Investment by using irrigation technology (CODEMA) and greenhouse automation (Hoogendoorn Growth Management). The demand for high quality and sustainable produced food is ever-increasing, which raises a challenge for greenhouse vegetable production worldwide. In one of the world’s largest countries, China, securing food safety is even a bigger challenge. The aim of the CAU Futong project is to make a tangible contribution to the growing demand for safely produced vegetables in Northern China. To increase both the quality and quantity of crop, CAU Futong uses reliable intelligent systems and automation from partners CODEMA and Hoogendoorn to manage their greenhouse complex. This is the CODEMA’s first project in collaboration with Futong projects in China. This new project has been put into operation by Dutch and Chinese engineers of CODEMA and Hoogendoorn in collaboration with the engineers of CAU Futong. In addition, training was provided for the operation of the systems. The CAU Futong greenhouse complex comprises a total of 11 hectares for the production of tomatoes (5 ha), cucumbers (3ha), bell peppers (2 ha) and a 1-hectare propagation area for young plants and seedlings. Their vegetables are delivered to high end supermarkets in large cities that include Beijing, Tianjin and Shijiazhuang. As the climate in Northern China tends to be dry, making smart use and re-use of water, but also fertilizers, is vital. With Codema’s water and LD-UV units, large quantities of water are disinfected using UV light. The liquid fertilizer unit enables correct quantities of nutrients to achieve growth. Moreover, an ebb and flow system was installed in the propagation area for seedlings. 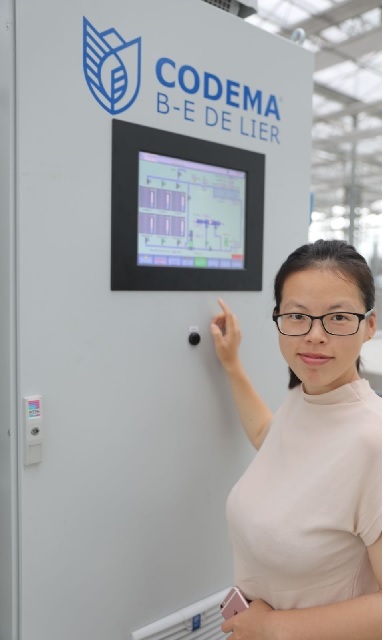 All these systems that are used to manage water, climate and energy are being controlled by Hoogendoorn’s next generation iSii process computer, which is available in the Chinese language. This enables the CAU Futong greenhouse project to realize a stable growth climate and accurate irrigation and energy control. By monitoring and controlling factors such as greenhouse climate, water and energy, which impact crop growth, quality and production, The CAU Futong greenhouse project contributes to a sustainable use of resources.